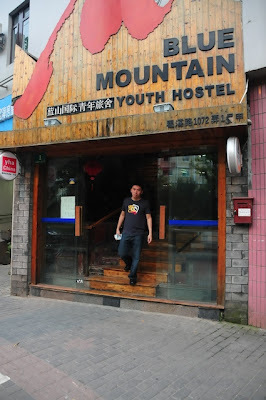 On our trip to Shanghai to see the 2010 Expo, we chose to stay in the Blue Mountain Youth Hostel as our temporary residence in China. It was in fact my second time to stay in Blue Mountain, the first was last year during the solar eclipse expedition. The hostel is located in Qu Xi road, which intersects Lu Ban road. 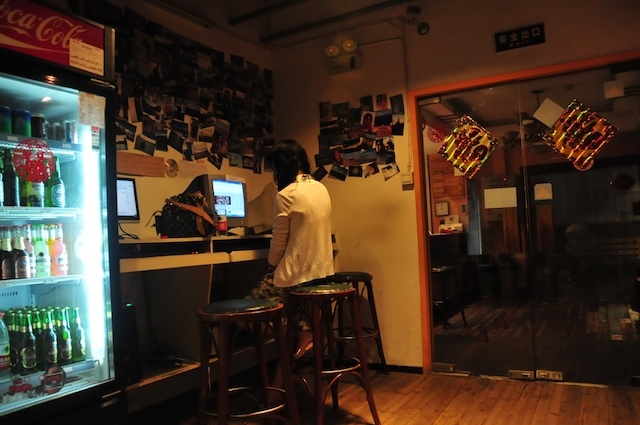 Conveniently enough, the Lu Ban subway station (Line 4) is just across the road from the hostel. It also turned out that the site of the Expo is just about 10 minutes away. The free shuttle bus stops at the corner of Qu Xi and Lu Ban, which ferries tourists to Gate 1 of the Puxi site (Puxi is where the corporate pavilions are, the country pavilions are across the river, at the Pudong site). I actually like the vibe of the hostel. The concierge desk is very welcoming, with helpful staff who can give you directions to the sites and what-not. The common room is right next to the concierge, where the guests can hang out and trade stories with other travelers. There is a snooker table, a TV and DVD player plus several stations for free Internet access (there is free WiFi as well). 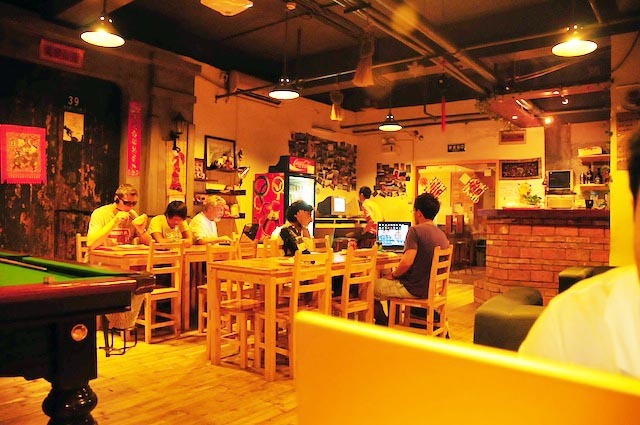 There's a ref filled with beverages that you can buy (a bottle of Tsingtao is 5 RMB), and you can also order food as well (lunch would set you back about 30 RMB). Blue Mountain has several options: you can get the 4-person or 6-person dorm type rooms or you may opt for the double ensuite rooms. The bathrooms for the dorm dwellers are shared. For the ensuite (where we stayed) they provide you with basic toiletries, plus towels that they change every day. The room is air-conditioned and there's a TV as well (alas, all Chinese channels). The rooms are cleaned everyday, and the sheets changed daily as well. The hostel is located at 2F Building No. 1, 1072 QuXi Lu. You may take the Line 4 subway and get off at Lu Ban station.